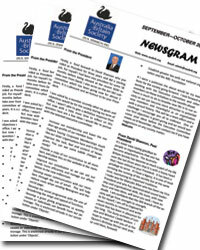 The Australia Britain Society Western Australia produce a quarterly NEWSGRAM and regular NEWS ALERTS to keep members informed of activities and relevant n ews. Ffion Nutter, a 3rd Year Props and Scenery student, travelled to London in July for work experience as part of an Australia to Britain Secondment Scholarship. She was seconded to the internationally renowned Neal Scanlan Studios, working on an upcoming feature film for Lucasfilm, the entertainment company famous for its Stars Wars and Indiana Jones franchises. Neal Scanlan is an Academy Award-winning British special effects artist and make-up artist, best known for his work on the Star Wars sequel trilogy and Anthology films. “I have now been here for over two months and in that time I have learnt so much. I am working directly with Alan Murphy and Neal Scanlan who have so much to teach me. We are currently making a series of puppets that involve using woodworking, soft fabrication, anamatronics, leather work, casting, and moulding techniques. There are so many different departments within CFX – it’s very much like theatre where everyone works together and communication is so important. In England they have different names for the materials, so I have found myself a couple of times explaining what I’m looking for which has been funny. Already I’ve made a lot of friends and have discovered I’m not the only Aussie, as everyone has come from around the globe. The Australia to Britain Secondment Scholarship, offered by the Australia Britain Society, is open to an outstanding final year Bachelor of Performing Arts (Production and Design) or Bachelor of Arts (Arts Management) student undertaking further studies or a secondment in the United Kingdom.